In PEX pro tips eight transformation leaders share their insights on how to embrace a progressive approach towards process excellence, whilst retaining a balance with traditional process excellence tools and methodologies. They discuss the emerging technologies to watch and how to complement current processes improvement with next generation automation and technologies, whilst remaining operationally efficient. 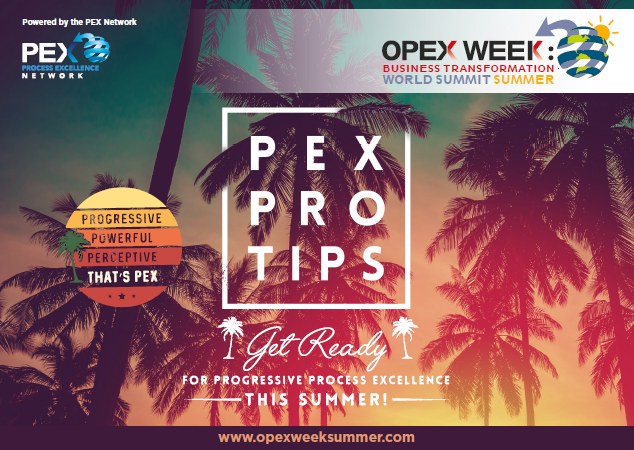 Featuring key speakers from the hugely anticipated OPEX Week: Business Transformation World Summit Summer, this eBook touches on some of the key themes the summit will address. They are PEX ready are you?